Complete and return your summer financial aid application by May 1, 2019. The Financial Aid Office will begin making awards on or around May 6, 2019. If your application is late, it may not be processed before summer quarter begins. Be prepared to pay tuition with personal funds. Loans are available if you have not met your annual loan limit. You may be eligible for a summer Pell Grant. Check the status of your summer financial aid by logging into your my.evergreen.edu. In order to receive financial aid for summer quarter, you must complete your summer registration (both 1st and 2nd sessions) by July 5, 2019. We use the 2018-19 FAFSA to determine your summer 2019 financial aid eligibility. 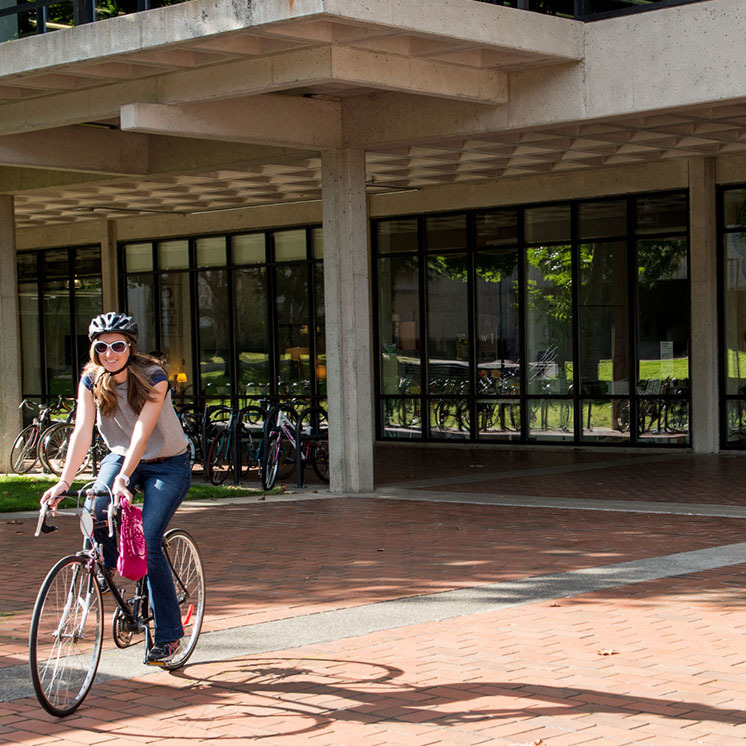 Summer is considered to be the last quarter of the academic year for Financial Aid at Evergreen. Your summer registration will not be dropped if you decide not to attend. If you fail to drop your registration, you will be responsible for any charges that remain on your account. We cannot accept summer financial aid applications after August 16, 2019. All continuing students who have received financial aid at Evergreen during the 2018-2019 Academic Year will receive an email from the Financial Aid Office inquiring about Summer Quarter. To apply for summer financial aid, read the summer financial aid policy included in the email, push the reply button on the email that you have been sent, fill in the number of summer credits and for which summer session you plan on attending and send it back to the Financial Aid Office. If you do not have the email, the Summer Financial Aid Policy and Summer Interest Form (Financial Aid Application) is available at the top and bottom of this page. The application is available in two formats: in WORD format it can be filled out electronically and then cut and pasted into an email to the Financial Aid Office for quickest results; and the PDF can be printed, completed and submitted via mail or fax or it can be hand delivered. First, read the Summer 2019 Financial Aid Application Policy Then, complete and email the attached Summer Interest Form to our office. Summer Financial Aid is tailored to the individual student and your eligibility will depend on the number of credits you take, the session(s) you are in, your grade level, and the funds you have already received during the year. Budgets are determined by what you put on your Summer Interest Form. The living expenses for one session are for a five week enrollment period and ten weeks for both sessions. Summer quarter costs are determined by adding living expenses to your summer tuition and fees. View your Financial Aid Award Screen by signing into your my.evergreen account. Once you sign in, this link should take you directly to the Financial Aid Menu. To view your award information and accept or decline your awards, click on "My Award Information." Choose "Award By Aid Year" and then choose the 2018-2019 year. The "Accept Award Offer" tab shows the types and amounts of Financial Aid you have been offered. You can use the drop down menu under the "Accept Award" column to accept or decline the awards that are listed here. Print a copy of your award screen for your records. If you are accepting a Federal Direct Subsidized or Unsubsidized Loan for the first time, you will need to complete Direct Loan Entrance Counseling and an Electronic Master Promissory Note. Your entrance counseling and E-MPN can be completed at: www.studentloans.gov. You will sign in using your FSA ID. Note: If you have completed Direct Loan Entrance Counseling and received a Direct Loan from Evergreen during a previous quarter, you do not have to perform it again. If you are a dependent student or a graduate student and you have been offered a Plus loan, your parent or you, as the graduate student, can log in to www.studentloans.gov with your FSA ID and complete the Plus request process. This loan cannot be accepted on your my.evergreen award screen. Parents applying for the Plus loan must use their FSA ID. Students should contact the MIT department and have them fill out the Graduate Statement of Undergraduate Requirements Form, and then hand it into our office with your Summer Interest Form. Have you filed your 2019-2020 FAFSA/WASFA yet? The priority deadline was February 1st. After that, you are awarded in the order in which your application was received. If you are a continuing student who will also be attending Fall 2019, your summer 2019 credits need to be verified before any Fall 2019 financial aid can be disbursed to your account.